Thousands of people could not image their childhoods without cartoons and the Simpsons, in particular, had a huge impact on culture, media, and the people themselves. The show has been running since 1989 and is going to have its 30th seasons this autumn. Luie B is an illustrator from San Diego, CA who makes people's dreams come true by drawing them in the style of The Simpsons. While the artist is not associated or endorsed by fox entertainment, that owns the show, he shares his "Yellow Caricature" portraits on his Instagram and Facebook pages. 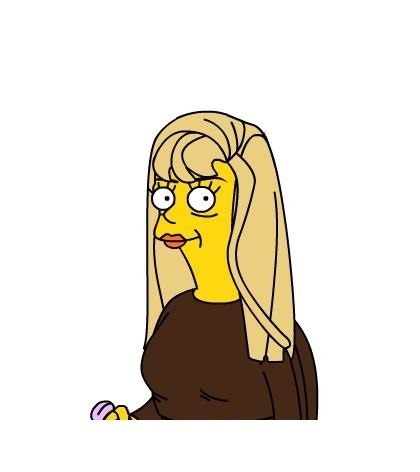 Take a look at some of the portraits of real people turned into the citizens of Springfield. This one is my favorite. It's so cute! Zooey Deschanel, is that you? 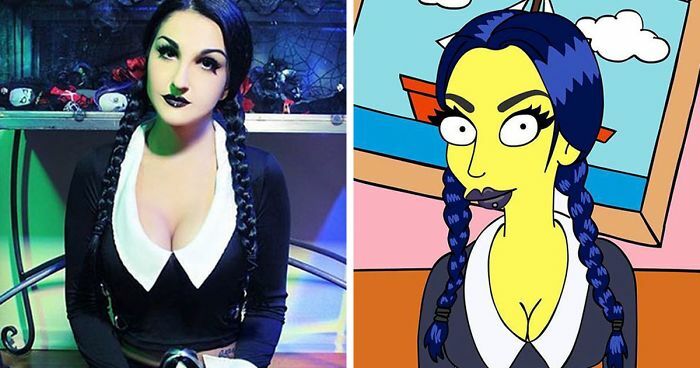 Wednesday Addams grew up and now works as the Simpsons babysitter? Yes please! Sherri and Terri with a picture of them dressed up as them. Nice. I would think one would be really hard to do! By drawing both sets of parents leaning towards each other, he's made them look friendly. The dog in both photo and Simpson version is wonderful! Ooooh, that's where the baby came from! I don't know who this guy is but he's SMOKIN! This one is so sweet! This is so adorable how he got the baby's bow and the little girl's dress! The man looks like he got his jacket the wrong way round...or is it done on purpose? Nailed the baked look on their faces! A much more interesting context. Pet goals. Hair goals. Pet hair goals!